Winter storage need not be a problem. With these ingenious DIY projects, you’ll see that you can definitely win over winter when it comes to minimizing clutter and mess, and maximizing your storage space! Of all the seasons, it seems winter always has us beat when it comes to keeping our homes neat, tidy, and organized. The harsh weather just makes us want to stay snuggled on the couch while the housework piles up, the damp mud and snow we track into the house has us disheartened, and the endless supply of big and bulky winter gear has us rethinking our winter storage over and over! But here is a list of fun and simple DIYs we can all try to step up our winter storage game even on the chilliest of snowed-in days. Organizing clutter and evaluating our storage strategy is a constant—we are always adapting to our ever-changing lifestyles and schedules, like the demands of a new school year or the crazy tumult of the holidays. Winter is just another time for us to take stock of how our household reacts to the season of bulky winter coats, wet and dirty boots, and errant mittens taking over the whole house. Luckily, we are always up to the challenge of finding the best way to store and keep our winter clothing, lest we get overrun! Here are some great ideas I’ve found. I hope they inspire you to tackle your winter storage dilemma—I know I’m ready to rock the season! There’s always another way to maximize your mudroom! Take your cue from this one and see how you can fit your winter shoes into the space beneath the built-in bench. It’s a no-brainer and a breeze to recreate. Yet another reason why you need to stock up on a clear plastic shoe organizer. These little pockets are everything! 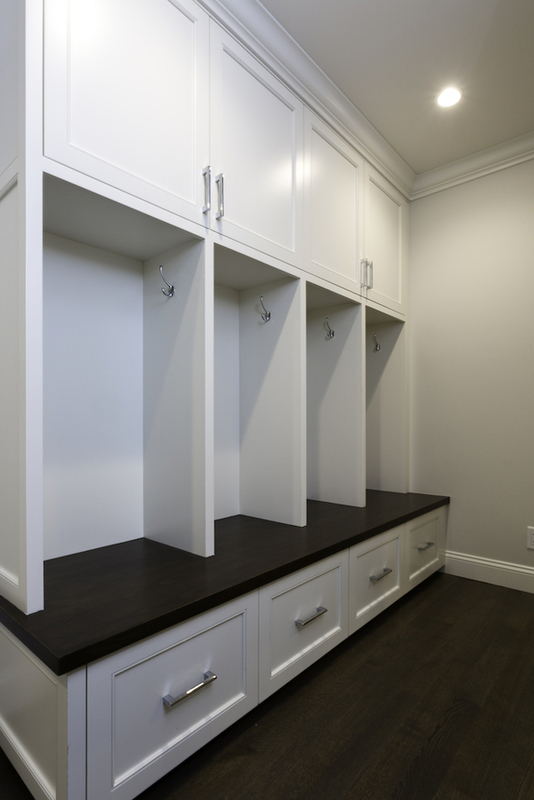 Hung up inside a cabinet door or in your mudroom, you and your family can easily stash away scarves, hats, and gloves while still keeping them visible. How cute is this? But it’s also pretty useful—clip up your mittens and scarves and hang the whole rack near the door, so everything you need is a grab away as you head out the door on cold mornings. Try mounting old drawers on casters to store all your sweaters and winter coats. This way, they’re rolled away and out of sight beneath your bed, but ready to be thrown on once the air starts getting crisp and chilly. If you have kids who constantly leave mittens and hats everywhere, consider giving them a “dump zone” by way of this wire magazine rack mounted inside the hall closet. They’ll never lose anything—how’s that for amazingly useful winter storage? Good-quality leather boots are an investment. Make sure you keep yours in tip-top shape ready to take on the harsh weather outside by storing them properly. Cut a pool noodle to size and use them to maintain your boots’ structure. Sometimes the best winter storage hacks are the simplest: Have you ever considered knotting your scarves and tights this way on a large hanger? Pull it out from the back of your closet when winter comes and you have your entire collection within arm’s reach. If you're into the rustic look and recycling is your thing, why not assemble old crates into a functional shoe storage system that's full of vintage vibe? Bonus: Old beverage crates with compartments work for scarves, too! Large empty cans get a new life as mudroom storage center! Mounted this way, they become great little cubbies perfect for mittens and other snow gear. Aren't all of these winter storage ideas so easily DIY-able? I hope these hacks help you keep your cool despite the stress and mess of the cold weather season! There's no reason to dread the dreary weather because you have all the clutter under control. Are you in need of a way to label those metals and leather storage? Check out my favorite metal stamp kit. Which winter storage idea do you need in your home right now? Let me know in the comment section below. If you liked this post, I'm sure you'll enjoy 12 Ingenious Kitchen Pantry Organization Projects You Should Try This Winter. Stay warm!